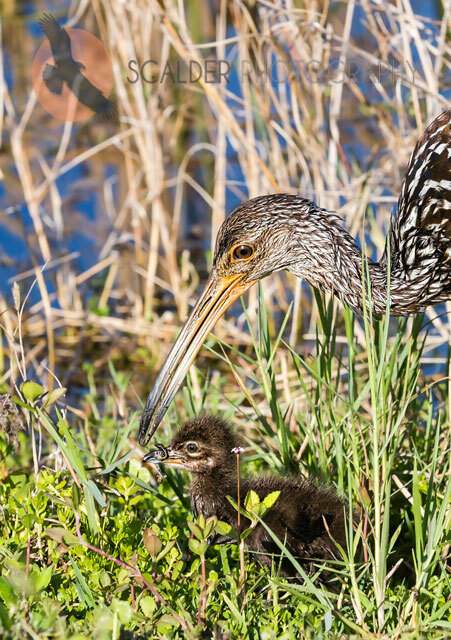 I had the privilege of coming upon a pair of adult Limpkins feeding their six downy chicks by the edge of the water in Viera Wetlands. It was such a gift to be part of this wonderful activity. The adults would catch the Apple Snails, then crack the shells and feed just the meat of the snail to their baby chicks. What a treat! This entry was posted on Saturday, May 2nd, 2015 at 12:12 am. 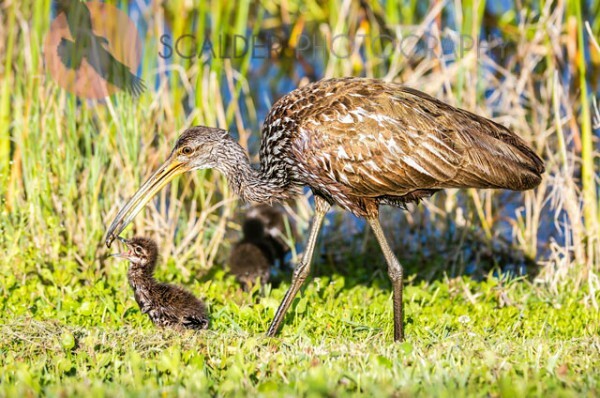 It is filed under Animals / Wildlife, New Images and tagged with Apple Snails, Limpkin feeding, Limpkin feeding chicks, scalderphotography, Viera Wetlands. You can follow any responses to this entry through the RSS 2.0 feed.